but it was preceded by two tragedies that enabled the act. 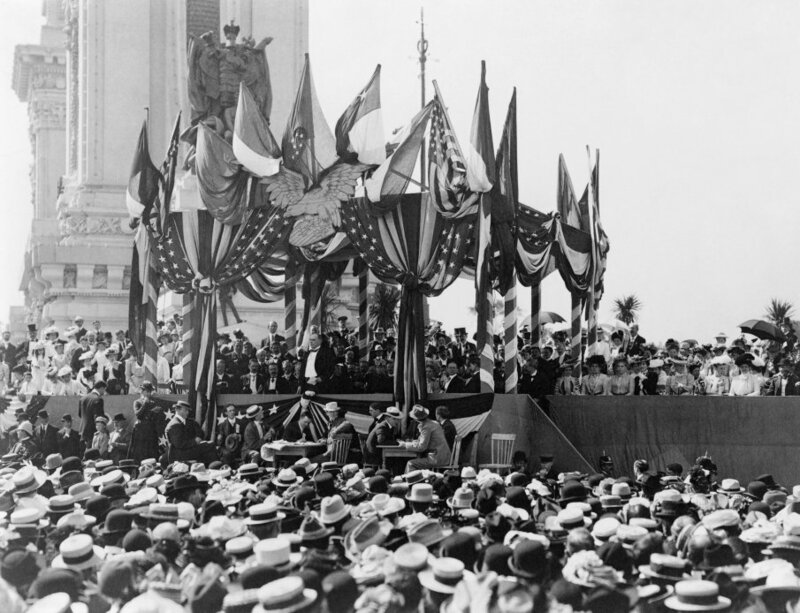 Address on President's Day" by U.S. President William McKinley at the Pan-American Exposition in Buffalo, NY, on the day before his assassination. 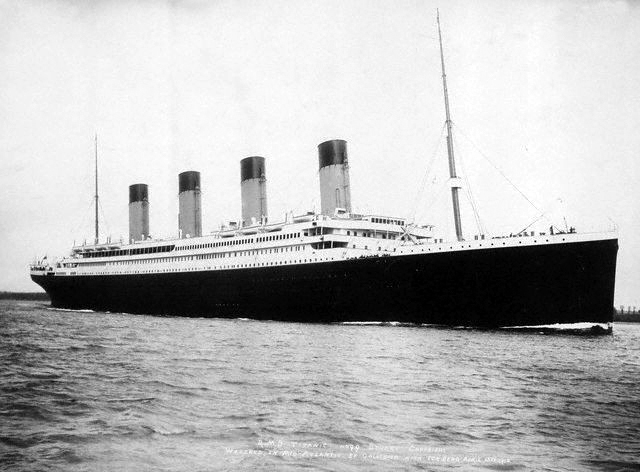 promising to restore "prosperity at home and prestige abroad"
Shortly before midnight on 14 April 1912, four days into the ship's maiden voyage, Titanic struck an iceberg and sank two hours and forty minutes later, early on April 15, 1912. The sinking resulted in the deaths of 1,517 of the 2,223 people on board, making it one of the deadliest peacetime maritime disasters in history. The high casualty rate was due in part to the fact that, although complying with the regulations of the time, the ship did not carry enough lifeboats for everyone aboard. The ship had a total lifeboat capacity of 1,178 people, although her maximum capacity was 3,547. A disproportionate number of men died due to the women and children first protocol that was followed. But this wasn't the tragedy. It lies in what followed. With the Titanic, died three of the wealthiest patriots of America who could have prevented the Federal Reserve Act. One was John Astor the hotel developer and captain of many industries. The second was the famous Guggenheim, one of the greatest American industrialists. The third was Strauss, the owner of Macy's department stores. These were patriotic Americans. They could probably sense what the empire was up to. They could probably smell it. Most likely they made no bones about, it that they wanted to keep the empire out of the American financial system. They knew that the survival of the nation was at stake when it lost control of its currency, whereby their own future was at risk. If these three men had lived, they would have fought like hell to prevent America's greatest tragedy, its sell-out of the nation's economic life-blood to the private Federal Reserve - the imperial gangsters, as some might have called them. Obviously the masters of empire knew this. Some people point to the timing and suggest that the Titanic was sunk for this very purpose, to achieve what otherwise might not have been achievable. People ask, how else could the masters of empire kill three of the biggest names in the American capitalist world, who were known to be opposed to their plan, and do this without raising many eyebrows? They would have to do it in such a way that nobody would ever believe it was done on purpose? Evidently that is why things happened they way they did. Indeed, who in the public would even dream that the masters empire, the masters of finance, would plan the sinking of a brand new capital ship, and an unsinkable ship at that, just to kill three of its passengers? This kind of plan adds up to the ultimate in plausible deniability. And it might not have been as hard to carry out as it may seem. It probably wasn't a huge feat to 'invite' the three targeted men separately onto the maiden voyage of the greatest ocean liner ever built, which the Titanic was at the time. And it probably wasn't hard either to ram the ship into an iceberg at full speed in the middle of a moonless night were it would sink, and to arrange things so that the targeted victims wouldn't get into the lifeboats, some of which were said to have been 'half empty.' Somebody obviously made sure that every one of those targeted three, for whom the operation was staged in the first place, would sink with the ship. Who was the captain then? The captain, a seasoned a mariner, was no fool, but he was also a Jesuit, a soldier of God. Evidently, he knew what he was doing when he drove the fastest ship afloat at full speed in a moonless night into an ice-infested stretch of sea. Only a fool would do this or a soldier on a mission; and the captain wasn't a fool. 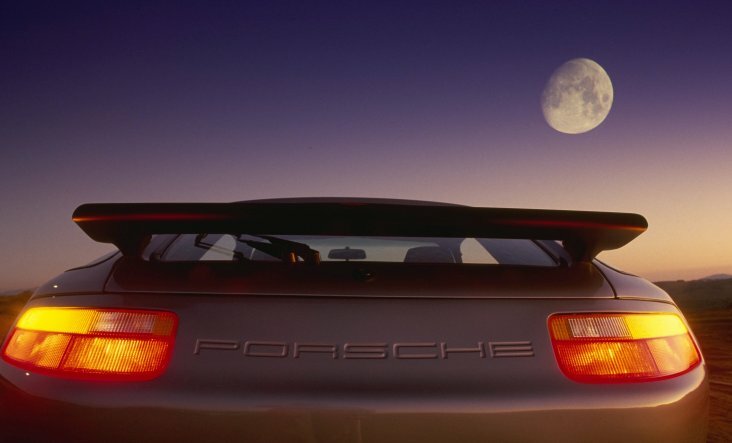 He had hands-on experience at the helm for close to four decades by them. 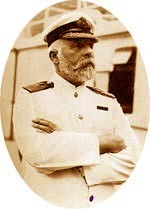 He knew the dangers icebergs pose and where they can be expected. Except this time he didn't fear the danger, he went for it. The captain was known as a deeply religious Jesuit, a warrior serving in the war of his God against the 'Protestant abomination,' as he might have been told. The Titanic had been built in a Protestant city, by Protestant workers. The captain was likely ordered to carry out a mission that had been commanded by God himself. It is known that he received his priest's personal blessing on the eve before the departure. The Jesuits would have been compliant with the planed project in order to oblige the financial masters of empire who were holding the key to the wealth of the church. The captain might have seen a task that was orchestrated for him from the highest level. That is why it went off with flawless precision. It appears that the game was hidden so well that a hint had to be inserted to unmistakably demonstrate the ultimate intention. And so, in case anybody didn't get the point that defying the masters of empire is futile, the sinking of the Titanic was staged to happen on the anniversary day of the assassination of President Lincoln, almost down to the hour. The Titanic and President Lincoln were both mortally wounded shortly before midnight on April 14, and both died on the next morning. 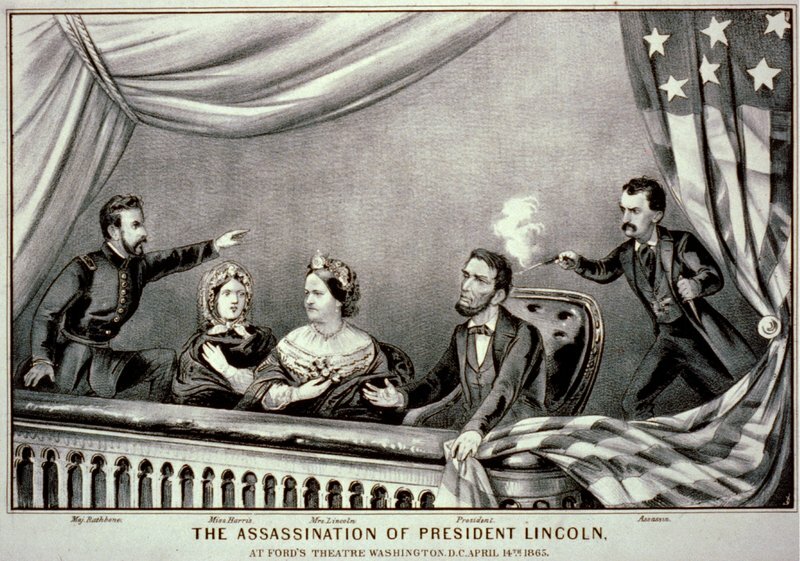 The assassination of Abraham Lincoln, one of the last major events in the American Civil War, took place on Good Friday, April 14, 1865, when President Abraham Lincoln was shot while attending a performance of Our American Cousin at Ford's Theater with his wife and two guests. Since the sinking of the Titanic was a project of intention, this most vital part of the operation was obviously not left to chance. Somebody made sure that the mice would go down with the ship (the rats never do). The timing was evidently not a coincidence then. It sent a terrifying message to every would be patriot who ever thought of defying the empire - a reminder that Abraham Lincoln had foolishly been a defiant man, who had been dealt with by the Empire of his day, in due curse, for his defiance. After all, Lincoln was the one man in America who had moved heaven and earth to deny the British Empire its price that the American Civil War had been intended for. Lincoln had denied the Empire its quest for getting its colonies back. The Federal Reserve Act was designed to achieve the same goal belatedly, and without war, which the empire couldn't win. The Act was subsequently passed a year and a half after the Titanic was sunk. It was passed on December 23rd, 1913. It probably was hastily rammed through, so that the congressmen wouldn't be delayed any longer, and prevented from getting home for Christmas. 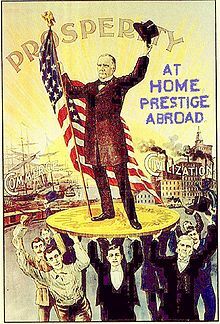 These sort of pressure tactics have become not uncommon in modern times, and the President, Woodrow Wilson, was evidently in full support of the empire's bill that had originally been concocted in private meetings, in one of them mansions owned by the agents of empire. This process is still happening too. Likewise, the method of plausible deniability is still being applied, to carry out operations involving such gross inhumanities that no one would ever believe the intention standing behind them, like the 9/11 attack. Those who suspect that the timing of the sinking of the Titanic tells a significant story, are probably more aware of the mode of operations of the masters of empire than most people are. And that is why the games run against the common aims of mankind, for the welfare of an imperial financial oligarchy, are still being run, and as vigorously as ever, while the traitors are being hailed and the sacrificial assists are wildly over-insured so that profits are made from the games at many levels. When McKinley was murdered the gates began to open to the agents of empire. 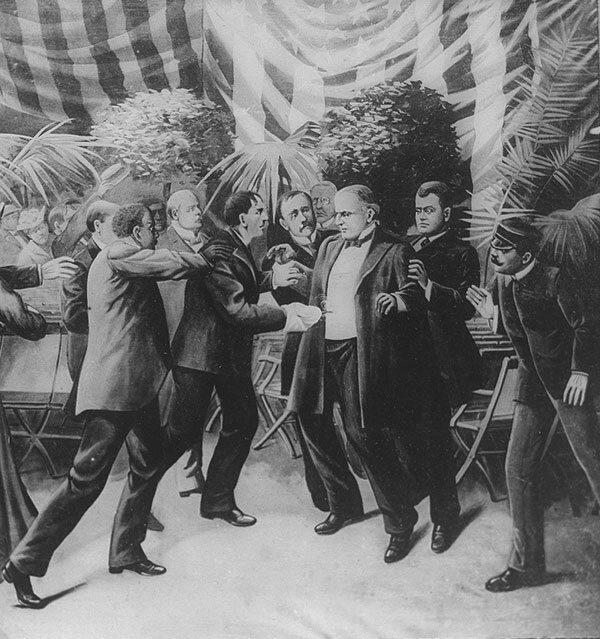 The Republican boss Thomas Collier Platt had forced Theodore Roosevelt, a loyal empire man, onto McKinley as a running mate in the 1900 election, against the wishes of McKinley's manager, Senator Mark Hanna. Theodore Roosevelt served as Vice-President from March to September 6, 1901, before McKinley was killed and Theodore became the President himself. If these timings tell us a significant story, then the enacting of the Federal Reserve system into law, as a system of private banks ruling the welfare of the nation, then this enactment comes with a trail of at least four major assassinations and the collateral death of 1514 more people. Of course the operation was profitable for the masters of empire. As soon as the ink was dry, the Federal Reserve Act was followed the Income Tax Act was as a means to be able to pay for the Federal Reserve's profits. And as one might expect, it was also Woodrow Wilson who signed the act into law, was also the man who brought the USA into World War I on the basis of lies and deceptions. Of course this was done in order to prevent the defeat of the seat of empire. World War I was started in the very next year after the Federal Reserve Act was enacted. A decade and a half down the road, the USA lay bankrupted on its knees, entering the worst depression in its history. Today, the Federal Reserve still operates, and the depression is now deeper than ever. Two world wars came and went, and a cold war came that still lingers on. And sol the old song remains to be tune of the day. The song was interrupted only once, during the years of the Franklin Roosevelt Presidency. 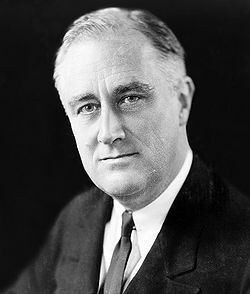 The man of the "Four Freedoms," the "New Deal,"
the CCC, social security, and on and on the list goes. Yes, America had a brief holiday from its long winter journey. The interlude came during the days of Franklin Delanaor Roosevelt. Does anyone still remember his face and his policies? Few do, for as soon as he was dead the Winterreise continued. His face was forgotten, his policies trashed, the ice world resumed. America allowed everything to be trashed it had built during its holiday in the sun, save none, and more, and no one is not affected by it. Therefore the challenge for America and the world to get its prosperity back that was stolen from it in so many ways, is not so much a challenge for governments to solve, but is an individual challenge beginning at the deepest from which good government will ultimately rise. But at this deepest level society has proved itself to be impotent, a 'small' people, getting smaller by the day. Sure, the political is exploding with ever greater rage of the widening hell that governments are creating in the service of empire of every sort. But rage is not constructive. It never heals. It never builds. It is the poet here who alone tends to ask the critical question, demanding the individual to answer to himself: Are you a human being? How does a human being respond? What is a constructive response? What sets the giants apart from those who a 'small'? 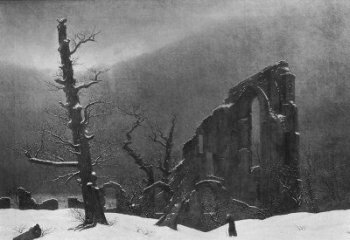 Ironically, the key to the sad tale of America's Winterreise -- the greatest tragedy that has ever befallen the American nation -- lies in the cause that Shakespeare had already recognized in 1599 as the chief failure in society in the shadow of the movements of empire, which he has amply illustrated in Hamlet as being totally insane. The key to society's prosperity lies in society itself. Hamlet is the tale of a society that finds itself so 'small' that it stands aside and allows itself to be ruled by traitors, fools, and idiots, whom it even admires, rather than be standing tall and directing its own destiny. 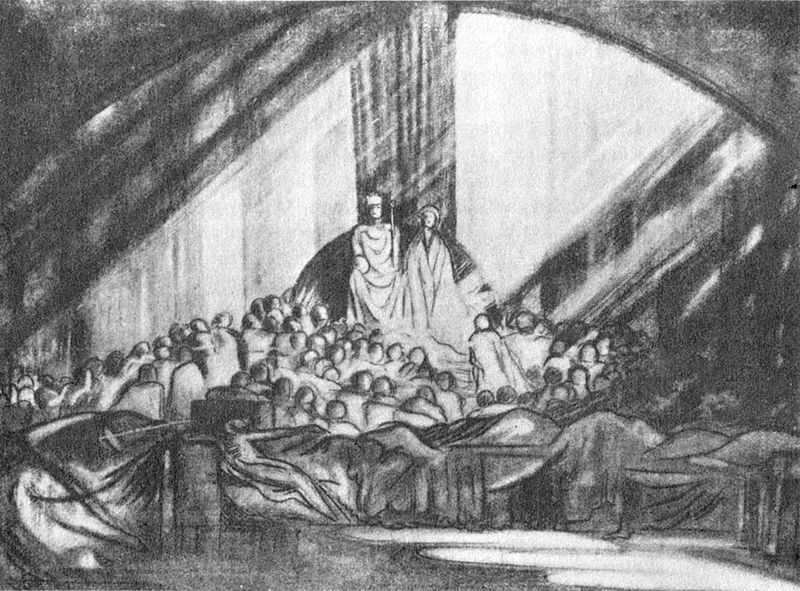 This is what Edward Gordon Craig's stage design of 1913 for Hamlet play, as shown above, illustrates. The stage scene shows society a little people, groveling. Consequently its fate adds up to a sad song that if it is not altered, tails out into silence without a voice, when even the memory of the beloved, its civilization, fades and becomes forgotten. The Winterreise describes an artists journey in the face a deep betrayal that tears at his very soul. It is an ancient theme of love betrayed. In the house of the poet's lodging, a glowing love began to unfold - the mother even spoke of marriage - but his love for the beloved was betrayed. The daughter's affection was stolen from him. He leaves the house and finds a cold and hash world. He came as a 'beggar' and leaves poorer, responding to the begging of despair, finding solace in dreaming, kinship with the crows, and hope in the gave. In this song cycle the poet describes the tragedy of modern civilization. What we call civilization has become a cycle of society stealing from one another instead of building a world for one another. The poet's protaginist dies inwardly in his despair. He drowns in tears, because he cannot find the strength to rise above it and draw the world up behind him. He represents much of mankind that way, which finds itself pitiful and powerless to change the world that is crumbling into dust around it. The Hamlet illustration created for a Russian theatre (first picture on this page) depict society a 'small' even 'tiny' people, towered over by a king that becomes grander in proportion to society's accepted smallness. Franz Schubert's song cycle, the Winterreise is those people's song. It is not the song of empire towering above. It is the song of a tragic submission of what is billed "fate." It reflects what is deemed to be the way the world is. The humble acceptance of its fate is the song of America, Europe, Russia, and of many other places. Fate is the mind-killer. Listen to the 'beauty' of its sadness, and the harshness of its trials. Hasn't everyone got this song already in the heart? Go and listen, this is your song indeed. But are you content with the Winterreise being your song, as it has been that for multitudes for more than a century already? America has had a brief glowing love affair with its most cherished humanity and prosperity. It became the city on a hill. But its love was stolen, and the theft was covered up. These thefts, whether they be by assassination, or by looting, or by whatever, are always covered up, because the result is too incriminating when it is faced head on, truthfully. Shame is always covered up, and often with great arrogance. Thus, the thievery becomes whitewashed into a virtue, and the virtuous millionaires and multimillionaires become the lawmakers in Congress and the Senate, or at least most of them, and the 'worst' of them are honored by society as role models. Now America has reached a low so deep in its self-degradation that it is said, and believed, that no hint of a general welfare actually exists in the Constitution - that the entire subject is but self-delusion; that in the real world might is right, to the point that there is not even any basic human right to life, liberty, home and happiness existing that is real. When those in society who can still remember the beloved golden days, as when a family of four could live well on a single salary, will suggest today that the USA should get back to those day - provided that they dare to speak those words - will find themselves being slandered and named crackpots. Of those, far too few stand up and raise their head with a determination to change what is billed their destiny. Most simply bow their heads deeper and complain about the coldness that has come over their life and try to come with this coldness as if it was inevitable to happen, as they are told. In comparison with those, who have embraced today's consensus standpoints, the Winterreise actually speaks of a greater hope than they themselves have, even while it speaks of tragedy. It appears that for as along empire remains at the center of society's tragedy everywhere, just as it has been the case for millennia, the masters of empire have nothing to fear today, because like the poet of the Winterrise - who sees no solution at the end - society has proved for millennia that it sees no solution either. However this scene is changing. What the poet didn't see in his days is now an option. There is an option on the table as an alternative to society's timeless old sad song. The Winterriese is a cycle of 24 tragedies, which unfold as 24 invitations to an individual to become a human being in the highest sense, standing tall, rather than small. The human dynamics is one of progression not subjection to decay. It is a dynamics that is activated by the question of whether mankind will take steps to break the old cycles of 'habits' and resort to its power to direct its destiny. History has become a sad convention. Will society break with its sad convention and resume its building towards its inevitable destiny, the destiny of a renaissance that reflects the ever-developing dimension of the human genius? The notion, that things simply are the way they are, is a trap. The journey out of the current winter is possible. Accepting fate is a trap. For almost a hundred years society has complained about the tragedy of the Federal Reserve System having been foisted on it, by which it became economically strangled. But nothing has been done about it, decisively, for almost a hundred years. This is like saying that empire has ruled for millennia and will continue to rule for millennia more. This is accepted as fate, but the notion of fate is a trap. The Winterreise is challenging society to deal with the notion of fate as a trap, to deal with it at its innermost level, and to develop the 'technology' for snapping out of of this accepted fatality. And beyond the poet of the Winterreise, another great poet warns that this subject is not a game without consequences, a subject that one could choose to avoid for convenience, but is a most serious subject with deadly consequences of the type that society is already beginning to feel. An example of how deadly unhealed deceptions can be is found in the German poem by J. W. Goethe, The Erlkönig (The Erl King), set to music by Franz Schubert. The Erlking is a poem about a mythological self-deception of the type we now face in the political world. Society's 'mythological' self-deception is one of the roots of the modern tragedy right across the board, in the scientific, political, and economic arenas. Empire holds itself up by deception, which is so cleverly imposed through the back door that the 'mythological' seems real to society, evoking tragic responses in the real world, even deceptions in the sciences. The common aims of all mankind are not fulfilled by society closing its mind as the masters of empire would inspire it to do. Instead they are fulfilled by reaching for the stars as President Kennedy had inspired the whole of mankind to do by providing an example of the freedom and power that can be won with this approach. Just look at the contrast between the two approaches, the imperial trap, and the scientific commitment to opening the trap to boundless freedom. It takes a great deal of care and scientific honesty to cut through the fog of deceptions and evoke real human responses. Johan Sebastian Bach faced this task for the rebuilding of society in the psychological aftershock of the Thirty Years War. He faced it with the art of musical composition, to inspire a new sense of humanity with music. An example of this type of music is his rendering anew, with a higher sense of perception, an old hymn: Jesu Meine Freude. This advanced humanist rendering by Bach is sung again by the LaRouche Youth Chorus. (December 16, 2007 Boston, Massachusetts) A concert recording of it is presented here, available on the LaRouche archives. With this music Johan Sebastian Bach raised the platform, in an effort to break the deadlock of pessimistic self-strangulation. Evidently he had great success, as his advanced principles of composition created a music that is still a treasured element of classical composition, and will likely always remain that. Bach grew up in the years following the Thirty Years War, during which almost all of Europe had been at each other's throat, with an effect that the image of the human being and mankind's place on Earth had sunk to extremely low levels, just like we have it today when few people see much hope on the horizon as their life is being stolen and civilization is being trashed. To get out of this trap is an individual task of reawakening to the beautiful and profound that is universally real and enduring. This is what Bach had set in motion. His pioneering effort started a fire. It changed the face of music. This fire was picked up by Haydn, Mozart, Beethoven, who turned it into a profound firestorm, and later by Brahms and others in due course, creating a renaissance revolution in music. This is possible in every sphere, in science, economics, and in politics. And the movement appears to have begun, with the LaRouche Political Action Committee standing at the forefront. Here is Ludwig van Beethoven's (1770-1827) perfect "Storm," an example (of many) of the work performed by the great pianist Serg van Gennip - (his Home page). The sonata illustrates the dynamics of a quiet storm that gradually gathers momentum. That's how the real revolutions happen, quietly and with inner power. Classical music still plays a role in this process, as do all profound intellectual processes.